Coluna Baixo TC Electronic RS 210. Material: Contraplacado 1.8mm. Potência máxima: 400W. Tweeter: 33mm (Titanium). Woofer: 2x Eminence custom de 10''. Where RH450 and RH750 has transformed the bass amp market, RS is a system that will revolutionize your on-stage performance. RS incorporates a rugged design with an anti-scratch finish and uses a dual-component ‘anti skid' surface treatment to help cabinets ‘stick' together when stacked. If you use a traditional 4 x 10" cab, you're always faced with the same problem when playing live: place the 4 x 10”rdquo; on the floor and you get great bottom end but no pitch recognition. 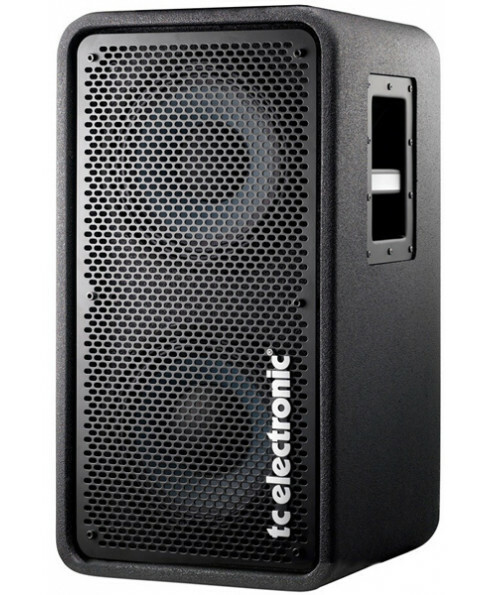 Put the 4 x 10”rdquo; on a stand and you get the opposite – great pitch but no low end. 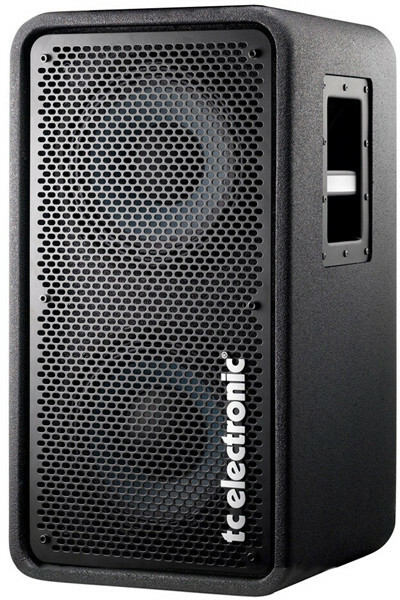 The solution is to use RS210's convenient vertical 4-driver stacking system that gives you the best of both worlds - great sound and pitch – and in a system that's light and portable enough for you to carry from gig to gig. RS212 is a 12”rdquo; version that's as easy to stack as the RS210, and both can be used in combination, making your on-stage placement of cabinets a breeze.